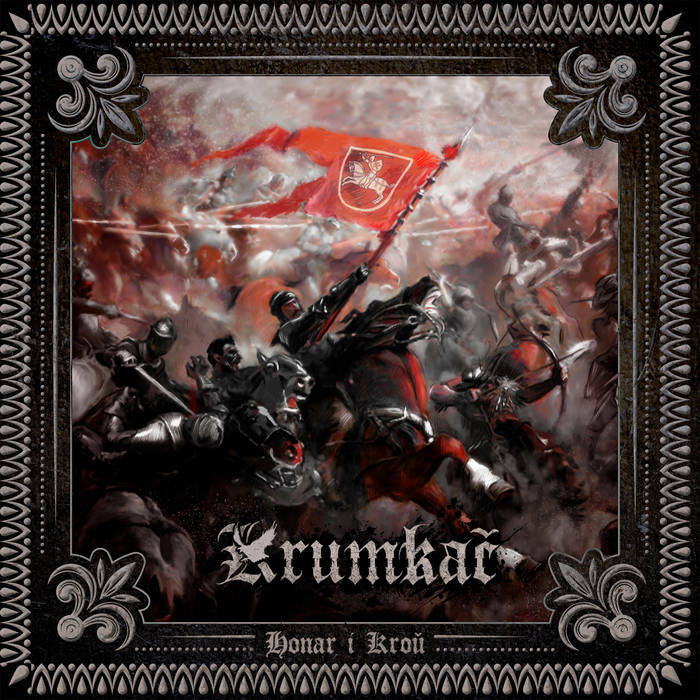 Krumkac are a band from Belarus that plays an atmospheric form of pagan black metal and this is a review of their 2018 album "Honar i Krou" which was released by Barbatos Productions. A very dark and epic sound starts off the album along with some synths a few seconds later which also captures the atmosphere of a fantasy movie before going into a very fast and raw musical direction which also uses a great amount of tremolo picking and blast beats and most of the tracks are very long and epic in length. Vocals are mostly deep black metal screams along with a more aggressive pagan metal approach also being used quite a bit throughout the recording while the songs also bring in a great mixture of slow, mid paced and fast parts as well as the riffs also bringing in a decent amount of melody, when guitar solos and leads are utilized they are also done in a very melodic style and synths are also used on the other tracks and also give the songs more of an atmospheric feeling. 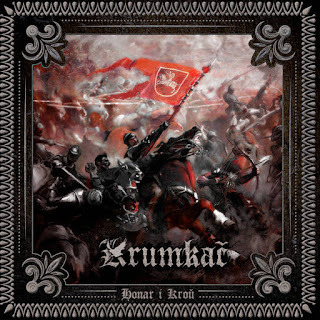 Krumkac plays a style of pagan black metal that is very raw, melodic, atmospheric and epic sounding, the production sounds very dark and raw while the lyrics are written in Belorussian and cover Heathenism, Nationalism History and Heritage themes. In my opinion Krumkac are a very great sounding pagan black metal band and if you are a fan of this musical genre, you should check out this recording. RECOMMENDED TRACKS INCLUDE "Krylami Bielymi" and "Pad Cornym Soncam". 8/5 out of 10.